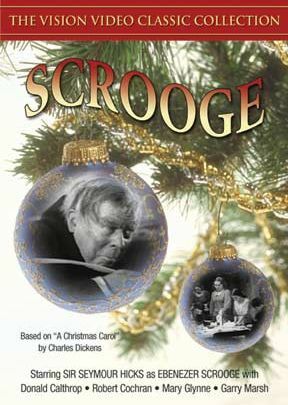 This faithful interpretation of the beloved classic was the first feature-length film version of the story with sound and is noted for its superb performances. Hicks, who had played the same role repeatedly on stage and in an earlier silent film version, inhabits old Scrooge thoroughly and brilliantly. Donald Calthrop costars as the perfect Bob Cratchit, Scrooges’ impoverished clerk. Also featured are Robert Cochran as Scrooge’s nephew Fred, Mary Glynne as Belle, and Garry Marsh as Belle’s husband. Director Henry Edwards was honored for his wonderful work in this film with a prize at the 1935 Venice Film Festival. Though many versions of Dickens’ classic have been released in years since, this is one that shouldn’t be missed.